We take the Bob Ross-approach to life around here; there's no such thing as mistakes. Although we're not very happy about our "no regrats" tattoo (for obvious reasons) we're not entirely heartbroken over it either. Luckily, we stumbled upon this very helpful cover up makeup wheel. All we do is dab a little bit of concealer on our permanent mistake and suddenly it doesn't seem so permanent anymore! You may want to use this wheel to achieve a certain look for Halloween or perhaps everyday use is what you're interested in? Either way, you'll always want this handy cosmetic product near-at-hand. 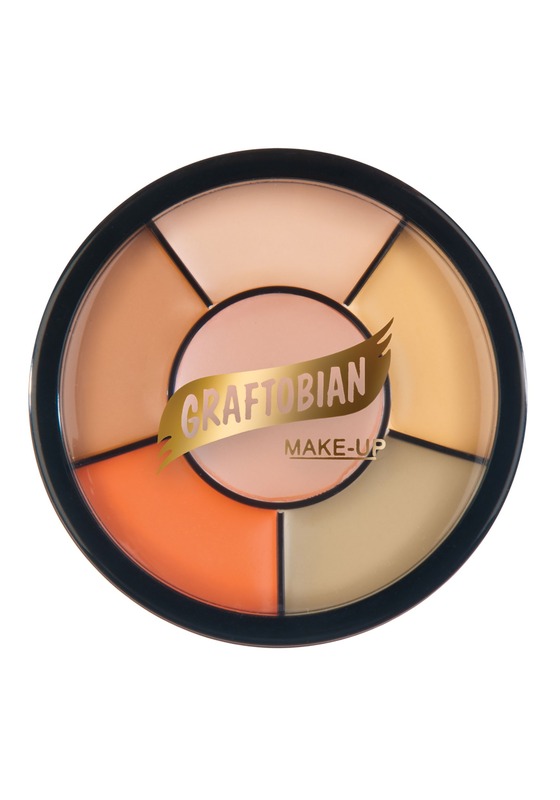 You'll receive 6 shades of concealer makeup to create a color match which blends into your skin easily. There are easy-to-follow instructions on the package so application is simple. Use makeup remover once you're ready to take it off and please not that sponges are not included. Pick up this makeup for a more convincing look this year or apply it to look more clean-cut for a special occasion. You'll find this product helpful if you plan on dressing as a cop, medical professional, or SWAT officer.